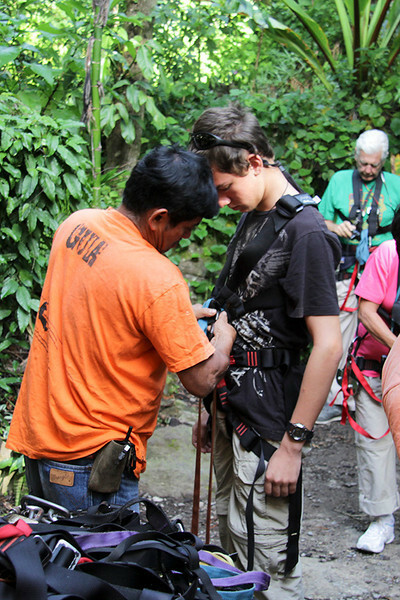 Today we will be taking the Canopy and Hanging Bridges tour of the Atitlan Nature Reserve. After climbing high on the mountain side we will zip line down. Max gets his harness expertly fitted.